Welcome to the Bear Valley Ski Club! Our ski club is based at Bear Valley Mountain Resort located in the scenic Central Sierra Mountains in California. The ski club was formed in 1966 by the developers of the Bear Valley/Mt. Reba Ski Area to host the US Winter National Ski Race in 1969.
and to promote good fellowship and sportsmanship. Bear Valley Ski Club is for all types of skiers: new, expert, downhill, telemark, cross-country, boarders, snowshoe, or ski lodge participants. 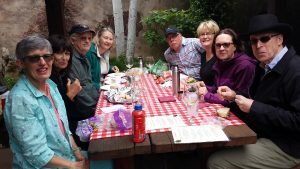 Bear Valley Ski Club is not just for all skiers – non-skiers can enjoy all the social activities as well. We encourage fellowship among members, and activities emphasize full family participation. With year round activities for members and their families, we are more than just a ski club! 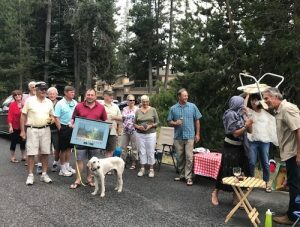 In addition to the above annual events, Club members are encouraged to put together activities which can include golfing, kayaking, hiking, and wine tasting, just to name a few. You and your family are encouraged to participate and enjoy the fellowship of the Club. Details of all activities will be announced on our website. Don’t forget to join our emailing list for updates! The Bear Valley Ski Club is an all volunteer organization. It is registered with the IRS as a 501(c)(7) social non-profit organization .